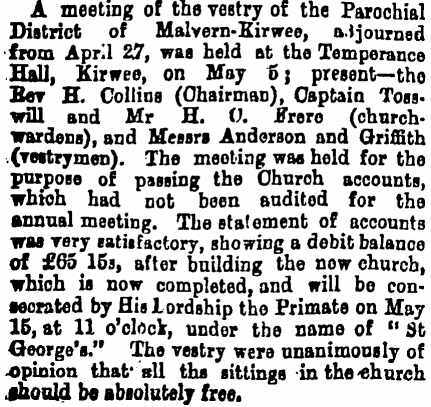 On the 10th November, 1882, the tender of a Mr. Jamieson was accepted to build the church for the sum of £246 and, as per the newspaper article above, St George’s Church and the burial grounds were consecrated on the 15th May, 1883. 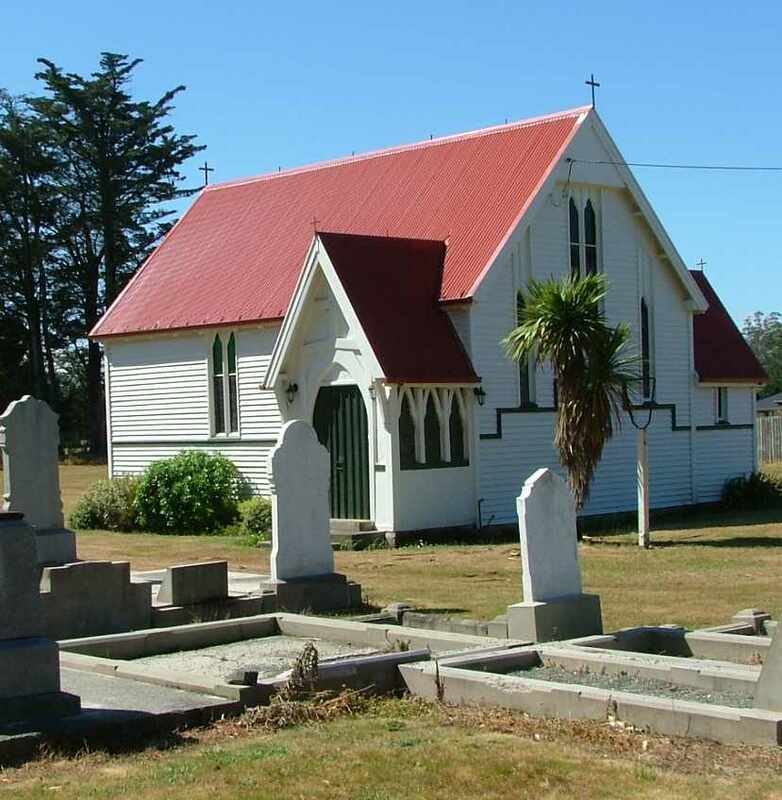 High-resolution photographs of gravestones are available, plus one or two of the cemetery/church if applicable. This includes a full transcription, particularly for those stones that are hard to read or eroded. 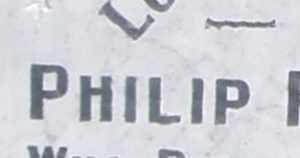 ANDERSON, Phillis (d. 7th September, 1903) – Age 9. BELGRAVE – Children of J & E Belgrave (no dates). 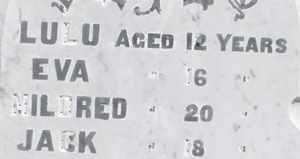 See HEADSTONE HISTORIES. BELGRAVE, John W (d. 1st March, 1931). 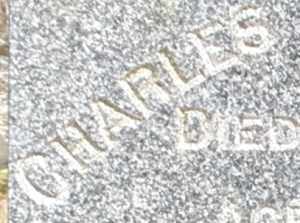 See HEADSTONE HISTORIES. BOWERS, Thomas Pitman (d. 19th January, 1890). Married Bridget DALTON 20 January 1886, died four years later. KELLY, Keith Leslie (d. 25th July, 1945). Accidentally killed in Oxford, England. ROPER, Restell (d. 13th May, 1930). Age 3. STEWART, James (d. 5th March, 1913). Husband of Frances.